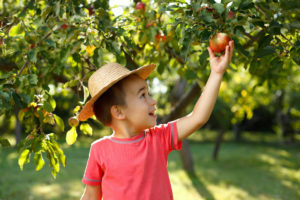 Fall is for planting…and eating apples! Join us for Applelooza! You’ll enjoy taste-testing a variety of apples including the new “First Kiss” (while supplies last) along with many other favorites such as SweeTango, Sweet Sixteen and more. Locally-grown SweeTango and Honeycrisp will be for sale as well! AND special pricing on a variety of plants and more! We can’t wait to see all of you this Thursday, Friday and Saturday!